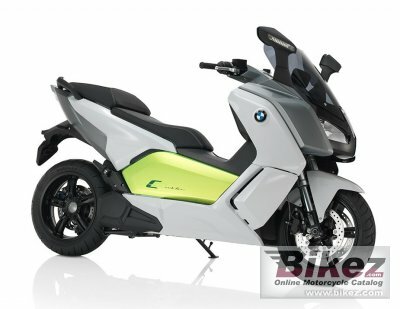 2016 BMW C Evolution. Picture credits - BMW. Submit more pictures. Behind every new movement there is also a story. An idea turns into a concept study, a concept study turns into an electric scooter ready for series production. Here we relive the path from Concept C to the C evolution. And one thing is for sure � the story will continue. On two wheels. For tomorrow�s urban mobility. Ask questions Join the 16 BMW C Evolution discussion group or the general BMW discussion group. Bikez has reestablished Bikez.info motorcycle web shop overview. Here we present the major online shopping possibilities for motorcycle parts, gear and accessories. This includes customizing and insurance. Search and compare products and prices. Try our 2016 BMW C Evolution discussion forum if you have questions or comments. Information about any technical issue is always welcome.